At First Round, our mission has always been to build and serve the strongest community of entrepreneurs. Connecting entrepreneurs with each other has been the foundation of our strategy for years — empowering them to learn from one another, share challenges, get answers, and build lasting bonds. As part of this, we’re always looking at other impactful communities around the world to understand what defines them and how we can grow in new directions. What we’ve seen time and again is that diversity and inclusion are core to the strongest communities on the planet. When people bring different backgrounds, experiences, attitudes and approaches to common forums, good things happen. We’ve spent the last several years doubling down on expanding our community to make it a truly transformative resource for everyone who works at our companies. We have a long way to go, but the progress has been promising. We highlighted diversity and diversity-related issues in our annual State of Startups Survey to shine a light on continuing challenges throughout tech. You can see the results here. And the report caught the attention of the press here, here and here. The report (which we produce annually) provided a data-driven basis for the press to write about the disappointing disparities so many of us are already aware of, while lending urgency to bridging the gap. Just two of the highlighted findings from last year’s State of Startups report. Every year, our Founder Summit brings 400+ of the most talented people working in tech together for one intensive day of learning from a roster of luminaries. Our last event brought nearly equal numbers of women and men to the stage, and we’re laser-focused on building audiences that hit gender parity and include upwards of 10% underrepresented minorities. For too long, the tech and startup community (including us) has failed to pay attention to this broader spectrum of diversity and inclusion, and the barriers confronting people of color, the LGBTQ community, persons with disabilities and other underrepresented people. For all First Round events, our entire staff and extended community are enlisted in creating the most diverse invite list possible. And we recently opened applications for our upcoming Founder Summit on May 8 to extend and diversify our network even further. 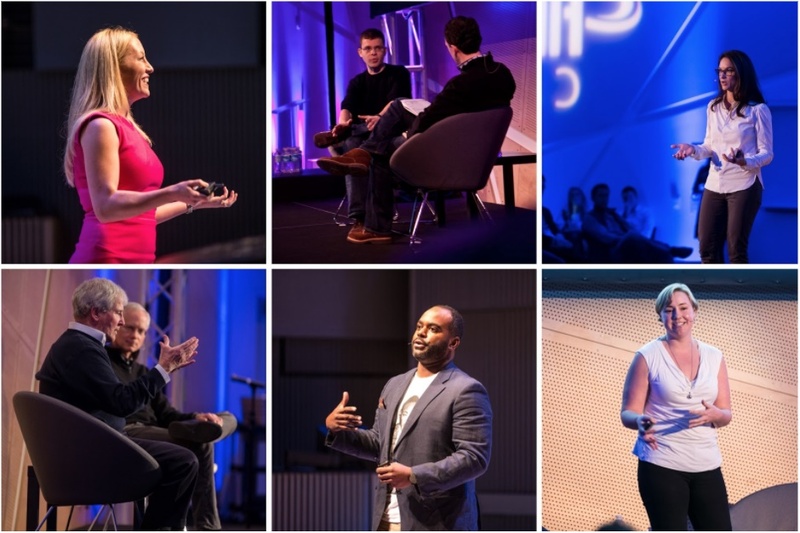 Some of the most impactful Founder Summit speakers from throughout the years. We’ve mirrored these offline efforts online with the launch of a private, internal community for the women across First Round companies. Built on top of First Round Network — our central community platform — it’s now an online home for 920+ women to connect and learn from each other. To complement this group, we’ve hosted several in-person events at First Round companies, where hundreds of women have gathered to delve into everything from negotiating compensation to building inclusive teams. Part of this effort has been to connect women at different points in their careers who can support and mentor each other along the way. 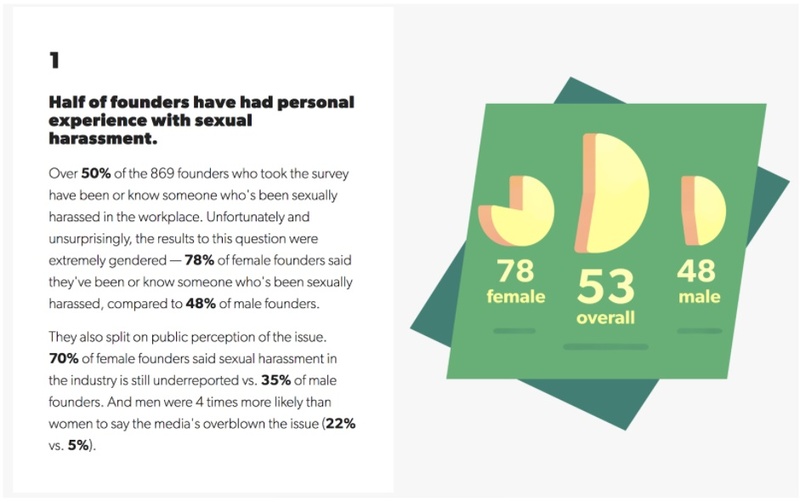 Our 2016 State of Startups survey identified a lack of female role models as a cause of limited diversity at startups, and we seek to remedy that. One of the key ways we’re doing this is featuring more incredible women leaders on First Round Review — making them and their accomplishments more visible for hundreds of thousands of readers around the world. Last year, 46% of the stories featured women — double what we published in our first year. We’re continuing to push this number until we get to parity, and we aim to take the same approach to all underrepresented groups in technology. 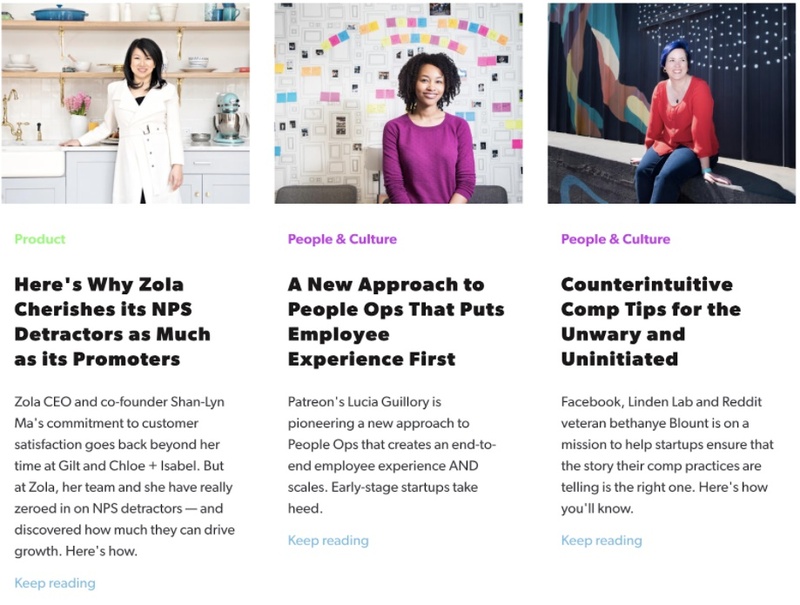 Just a few of the popular Review stories featuring women leaders in the last year. We’ve made content a powerful tool to support our diversity initiatives, producing a number of instructional experiences focused on increasing diversity and inclusion for First Round-backed companies. These include salons and workshops that break down the best tactics for inclusive hiring. And most recently, we published a guide for companies on First Round Network that walks through best practices for keeping diversity front and center in recruiting efforts. As many in tech bemoan the “pipeline problem,” we’re working to actively engage a diverse pool of talented students through Dorm Room Fund. 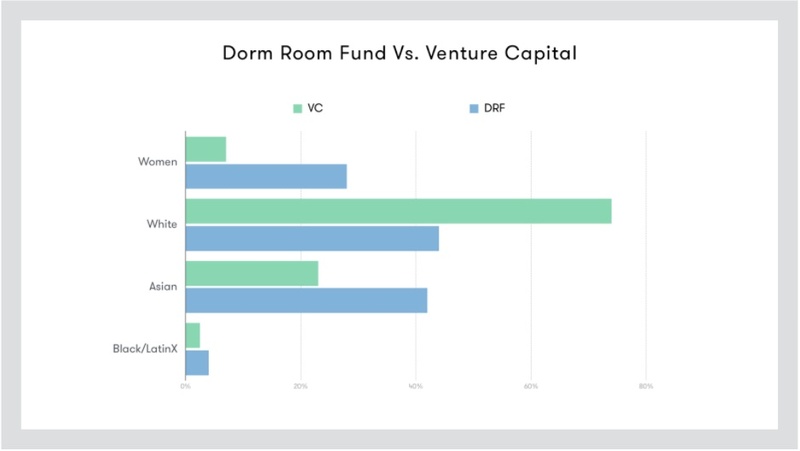 We’ve found that an astonishing 20% of Dorm Room Fund partners choose to work in venture capital after graduation. Of those who’ve become investors, 47% are female and 6% are black. We published these stats and others in a DRF Diversity Report to showcase how young entrepreneurs and investors just now joining our ranks compare to industry benchmarks, and where new gains can be made. Just one of the results from DRF’s Diversity Report. Internally at First Round, we’re taking steps to cut out bias and increase inclusion. We’ve run unconscious bias training for all of our employees and actively encourage our founders to do the same. We’ve also examined every step in our investment process to remove bias however possible. And we convene regular internal conversations to share how these issues impact all of us — our work and our personal lives — so everyone feels welcome to bring their whole selves to the office. We’re proud of the team these efforts have produced, but we know we can do better. We’ll continue to invest heavily in building First Round to match the world around us. Altogether, these actions are already making an impact. Of the new investments we made in the last year, 20% have at least one female founder or underrepresented minority founder. We’re encouraged by these early results, and plan to build on them in the coming year. We’ve also made our diversity and inclusion efforts and anti-discrimination and anti-harassment policies public so that the entire ecosystem can hold us accountable. Our hope is that, in sharing what we’ve tried, we can be part of a positive ripple effect in the industry at large. If you have other ideas for us, we’d love to hear them. We’re always collecting thoughts, feedback and recommendations at diversity@firstround.com. 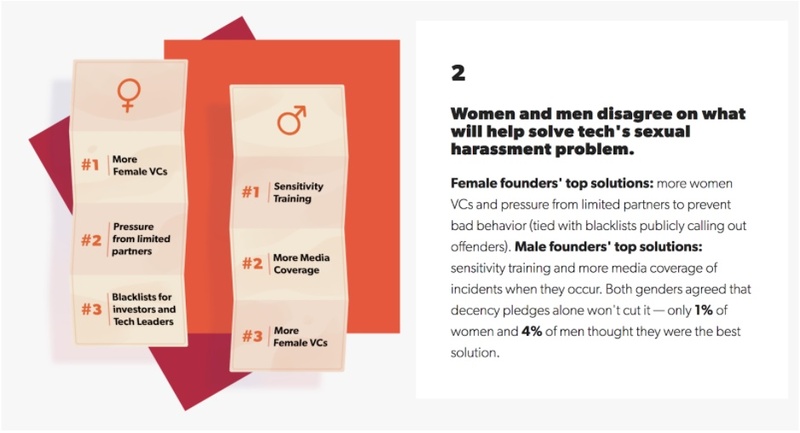 For all the reasons above, First Round is thrilled to be a part of the #MovingForward initiative for venture firms committed to building diverse, inclusive and harassment-free workplaces. For other VCs who’d like to move in this direction with us, there are several helpful resources to get started. In particular, we recommend checking out the NVCA’s recently released anti-harassment and discrimination policies, as well as their best practices and code of conduct here. We’re excited to work with you to accelerate change!